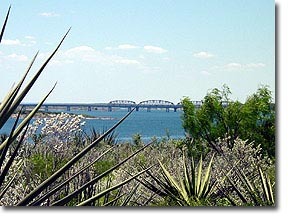 Lake Amistad straddles the border between Texas and Mexico. The Amistad National Recreation Area is the United States portion of International Amistad Reservoir. The not so well kept secret of Lake Amistad – top-quality year round fishing. While Amistad is well known for fantastic bass fishing, including largemouth, smallmouth, and striped bass, other fish that can be caught here include: catfish, crappie, various species of sunfish, and alligator gar. The Amistad NRA hosts a number of organized fishing tournaments throughout the year. For more information on the area, see the Del Rio Chamber of Commerce website. 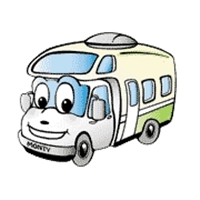 El Monte RV can set you up in luxury motorhome accommodations from its Dallas, TX RV rentals location. Some things to note when fishing Lake Amistad: Law requires that those who travel to and from Mexico to have a passport. This is not a requirement for fishing and boating on Lake Amistad. Those fishing the Mexico side of Lake Amistad are required to have a Mexico Fishing License. However, if you beach your boat on the Mexico side of the Lake and step foot on land in Mexico, law requires that you re-enter the US through customs with a passport. Lake Amistad is truly a great year-round site for fishing.